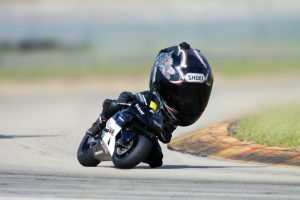 Rookie Rule To Be Dropped For 2013 MotoGP! Marquez will be on the Repsol with Pedrosa next year. The original story can be found here. The rule had outlived its usefulness, IRTA secretary Mike Trimby told MotoMatters.com. “The situation has changed,” Trimby said. “There are far fewer opportunities for rookies now than there were when the Rookie Rule was introduced.” In 2010, the first year of its introduction, there were three satellite Ducati seats, two satellite Yamaha seats and four satellite Honda seats available. In 2013, there will be just two satellite Yamahas and two satellite Hondas, with perhaps just a single satellite Ducati available, though Ducati team boss Alessandro Cicognani said that it was Ducati’s intention to keep two satellite Ducatis if possible, and the factory was willing to look at pricing to help achieve that goal.